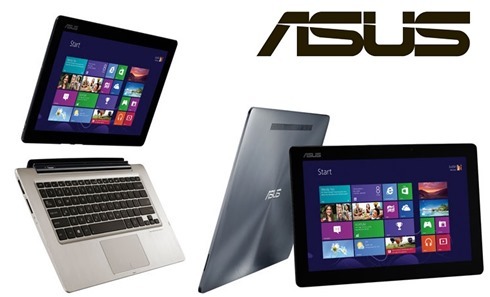 Laptop-Tablet Hybrid Coming In Vogue, Asus Launches A Powerful One In India! Asus has always been ahead of the curve where unique products are concerned. Especially in the tablet arena, they have often created products that are different from the competition in more ways than one. It is not a wonder that Google’s Nexus tablet came from the stables of Asus. Its Transformer series is something that takes a tablet and shows it how it can replace both the tablet and the laptop. That was all for Android though. Asus has now launched the unique tablet with a keyboard in a completely pumped up fashion on for Windows. Asus has launched in India its Transformer Book TX300. At one look, it is 13.3” laptop that is detachable from the screen and gives you a handful 13.3” tablet. There are other laptops of such kind as well in the market. That is the front though. Inside is a beast that has a 3rd Generation Core i7 processor that can hold itself anything that is thrown at it. It has a 128GB SSD in its tablet and a 500GB Hard disk in its laptop case. In all, lots of storage is provided. Now, if we just look at the tablet then it is one of the most powerful tablets in the industry. With a 13-inch full HD Display it is excellent for a tablet. For a laptop, it has a lot of juice in its class. The problem is that it is costlier for its class of laptops. Yes, this beast is priced at at Rs. 91,999! This creates a further problem as it is very costly for a tablet. It’s the combination that ideally should make it a value proposition. This product for sure is made for rich class or Business people and not ordinary usage. Now, Asus has a definite market here for the laptop. It is the tablet that I am not sure about. At the price (around 1 lakh) most people would be tempted to buy separate laptops and tablets. Not because they can’t afford this but simply because as soon as your budget increases beyond Rs. 60K for a laptop and a tablet, Apple’s iPad becomes a value proposition and despite all the efforts by all the companies, iPad has achieved the cult status, which iPod achieved. And while Windows 8 is touch friendly and more business oriented, it is available for use at all prices as well (in laptops), so there is no particular charm of having it as a laptop. This is what Asus’ challenge is. The product that they have brought to the market is brilliant in many respects. It is a little pricey for similar range but it definitely brings something extra with fast i7 processor. However, at that price range an iPad and an above average laptop looks more appealing. And, that’s a challenge Asus may face… What’s your take! Spice Launches Cloud Storage Android App… But Where is it? 18 TV Ads Released By 9 Indian Online Companies! 13.3″ can not be said as a tablet. Tablets are meant for personal handy application and not for high end application. Therefore i7 processor being very costly is not suitable for tablet use. i7 is in mega flops and is meant for high end application only. Now Intel is bringing more than 45 core processor, and if Ausus provides tablets for such thing also,it is meaningless. India is a country where-in millions of computer users are watching the updates in the industry. 13.3″ screens can not carried as tablets in small bags. These hybrids are most welcome, but, core i7 processor for a laptop/tablet may not work. In fact core i3 not even i5 hybrids of 10″ can work, as they can be fast and handy. It is pricey and that is why I think Asus might have to think over a strategy to sell it. And as you said, it is promising and seems targeted at mostly high-level business executives. I think Asus is still the best in the larger computing device base (laptops, PC)…one thing that I like most about Asus is itz stability and simplicity…this device too is looking very promising, but I think it is a little over-rated…91k is really big….